Hay fever, or allergic rhinitis, is the most common chronic disease, affecting up to 30 percent of the population. It is the most common reason for chronic sinus and nose problems. Children and young adults are the most common age groups affected by this disease, although many older adults and elderly people also experience symptoms. Allergic rhinitis is defined as inflammation and irritation of the nasal passages due to seasonal and year-round allergens. Symptoms include sneezing, runny nose, nasal congestion, itching of the nose, and post nasal drip. Half of all people with allergic rhinitis also have a component of non-allergic rhinitis to their symptoms. Those at risk for the development of allergic rhinitis include people with a family history of atopy, those with atopic dermatitis, a mother who smoked during pregnancy and living a modernized lifestyle (urban setting, higher socioeconomic status, small family size). The presence of pets, especially multiple dogs, in the home at the time of birth appears to protect against the development of allergic diseases such as hay fever. The above phenomenon is explained by the “hygiene hypothesis,” which suggests that since we live in a cleaner environment, our immune systems do not need to fight as many infections as in the past. We don't grow up on farms around animals, we don't play in the dirt, we receive vaccines to protect against infections, and we receive antibiotics when we do have infections. As a result, the immune system is less stimulated from an infection-fighting mode, and switches to allergy mode. Early pet exposure, especially to dogs, may help prevent this. 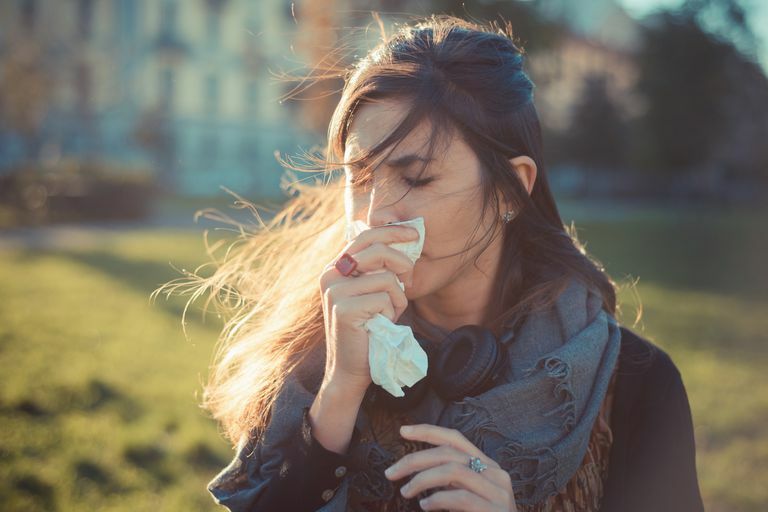 Allergic rhinitis affects nearly 39 million Americans, leading to millions of missed workdays, school days, and days of reduced productivity each year as a result. The costs of this disease process are measured in the multiple billions of dollars annually (doctor visits, missed work/school days, and medication costs). The effect of allergic rhinitis on a person’s quality of life is comparable to that of a severe asthmatic. Allergic rhinitis also influences other diseases. Uncontrolled hay fever symptoms can lead to sinus infections, ear infections and worsening of asthma. And people with allergic rhinitis are more prone to illnesses since the inflammation in the nose makes them more susceptible to the virus that causes the common cold. Diagnosis is made by a person’s symptoms that are consistent with allergies, a physical exam by a medical professional that shows signs suggestive of allergies, as well as positive allergy testing. Positive allergy tests are required to diagnose allergic rhinitis; negative allergy testing suggests non-allergic rhinitis. Allergy testing is accomplished with skin testing or blood tests (called a RAST). Skin testing is considered the standard and is performed in a variety of ways, the most common being prick (or scratch) tests.